Attention: Our website www.naukrijankari.blogspot.com has become now www.naukrijankari.in. Always type www.NaukriJankari followed by (.in). Be aware of fraud websites. Good news for all genuine aspirants who are dreaming to crack a post through SSC CGL exam! Staff Selection Commission (SSC) has finally changed the pattern of Combined Graduate Level examination. It has been heard from few days that the pattern of SSC CGL 2016 exam is going to changed. Finally the process has been implemented. SSC has decided to conduct the CGL Tier-I and Tier-II exam in computer based test (online exam). The tier-I exam will be qualifying in nature i.e. marks obtained in tier-I will not be considered at the time of making the merit list! Now go into the details of the exam pattern. It will be same as mentioned in the official notification. That means there is no change in exam pattern. The only thing that has been changed is the exam will be computer based test. This test has been newly incorporated from 2016 CGL exam. There will be a descriptive part of English/ Hindi writing skills about Precis/ Letter/ Application etc. writing. This exam is of 100 marks. You will be given 60 minutes for that. This is same as mentioned earlier in the official notification. This is applicable for few posts like Assistant in CSS, Compiler, Tax Assistant. This is qualifying in nature. Hope you are happy now. Start your preparation from now! Good Luck! If you have any question regarding new pattern of SSC CGL 2016 exam, feel free to ask here as comments. 6 comments for " SSC CGL 2016 New Exam Pattern & Exam Dates "
Is the sectional cutoff in Tier1? This means that tier-2 exam consist of only English and Maths? sir , marks of tier 1 will not be considered in merit list. sure sir. There will be NO Sectional cutoff. Jagadish,Toughness level of questions in Tier-I will not be like as SBI PO. It would be quite easier than SBI PO. Pintu, The final merit will be prepared on overall performance in Tier-I, Tier-II and Tier-III. Tier-II consists of only English and Math as it was in earlier. 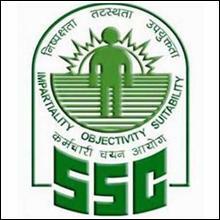 Can't access official website of SSC? How to open SSC's site?